Bill Windsor has sent a Deposition Subpoena to his Judge, Judge James A. Haynes. That's right. Judge James A. Haynes is a fact witness in William M. Windsor's criminal trial for publishing the name of the man who attempted to murder him. Judge James A. Haynes needs to be disqualified. That Motion to Disqualify was filed last week. Judge James A. Haynes said Sean B**shie would have to be arrested and convicted before Bill Windsor could get a temporary order of protection against Sean B**shie. Nah, that's not how it works. Judges don't enjoy being asked to take a seat as a witness. 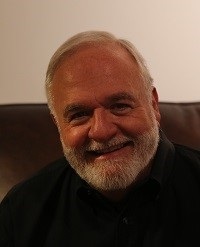 In this case, the testimony of Judge James A. Haynes and the other judges who have been involved in protecting Sean B**shie is critical to one of Bill Windsor's defenses. It should be exciting. Bill Windsor began discovery last week with Deposition Notices for the State's Witnesses in his Criminal Trial for Tweeting, etc. 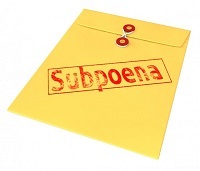 The Notice of Filing Requests for Subpoenas with the originals of each Subpoena Request will be filed on May 18, 2015. William M. Windsor is requesting that the Court instruct the Clerk of the Court to issue subpoenas for depositions with document production. The Requests are for: Judge James A. Haynes, Judge Sam Warren, Judge Kathleen Jenks, Judge John W. Larson, Judge Karen Townsend, Justice of the Peace Jim Bailey, Craig Serba, Officer E. Smith, Officer P. Kelly, Travis Welsh, Walt Dinges, Gary Taylor, Ben Gladwin, Nick Painter, and Royce Engstrom. The Requests for Subpoenas are attached as Exhibit A.